Published on December 7, 2012 in Gender, General T&T, Media, People's Partnership, Politics, Sports and UNC. 6 Comments Tags: Anil Roberts, Kamla Persad-Bissessar, Politics, T&T Govt, UNC, Verna St Rose-Greaves. 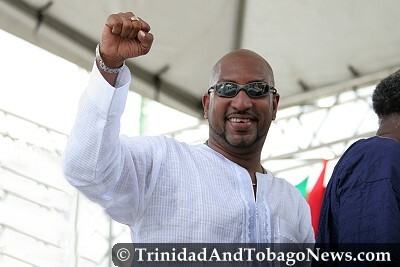 Minister of Sport, Anil Roberts, said former colleague Verna St Rose-Greaves’ recent utterances about Prime Minister Kamla Persad-Bissessar was because she could not “railroad” the Cabinet into accepting the Gender Policy, without widespread consultation.